This page exists to warn Christians of the danger that can be found in Satanism, the occult, and Satan’s many earthly holidays that have been sold to Christians as “Christian Holidays,” yet they are rooted in paganism, idolatry and Satan worship. Many of these Christian Holidays are sold to the masses, by making them a time for “fun, family, candy, gifts, dressing up, romance & lust, food and tradition.” Satan’s “Santa Claus”, the Easter Bunny, Halloween, etc have permeated society and have even captured the homage of practicing Christians that do not see the danger in submitting to Satan’s Calendar and holidays. This page will explore what lies at the root of Satan’s Calendar, and these holidays that are so cherished by many. We advise all to wake up and study the scriptures, to see the truth concerning these things! The Satanist believes that numbers contain inherent power. Thus, they literally order their lives by accult numerology. Such numerology also is a key component in astrology, another system of divining that Satanists observe very closely. The occult calendar is divided into four (4) segments of 13 weeks each. 1. The Bible assigns “13” the meaning of rebellion against constituted authority”, plus the depravity that caused Satan to rebel against God. February 1 and 2 – Candlemas and Imbolg, aka Groudhog’s Day. Also a Human Sacrifice Night. April 1- All Fool’s Day, precisely 13 weeks since New Year’s Day. April 19-May 1 – Blood sacrifice to the Beast. Fire sacrifice required on April 19. April 30-May 1 – Beltaine Festival, also called Walpurgis Night. This is the highest day on the Druidic Witch’s calendar. May 1 is the Satanist’s second most sacred holiday. Human sacrifice is required. June 21 – Litha is one of the Satanists Human Sacrifice nights. July 31- August 1 – Lughnasa, Great Sabbath Festival, also a Human Sacrifice night. 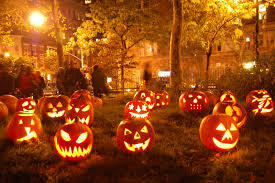 October 31 – Samhain, also known as Halloween, or All Hallows Eve. This date is a Satanist’s highest day of human sacrifice. People must die as human sacrifices, especially children, since Satan looks upon a younger human sacrifice as his most desirable. (Remember that according to Yeshua, children are those that are of the Kingdom of Heaven, and unless we become like as a little child, we will not see the Kingdom of Heaven). Many Christians fail to realize that they are ordering their year according to Satan’s calendar and his created pagan/heathen holidays, but they are. The annual calendar for the entire Western world is ordered by these Satanic festival times and days. Note that these times and dates are tied to the Catholic Gregorian Calendar (which was established well after the death of Yeshua). Now that you’ve seen the entire occult calendar, lets go back to the significant holidays to see how the Western world has slipped into a worship of the same pagan holidays and are using many of the same pagan symbols that are so important to the pagan worshipper. 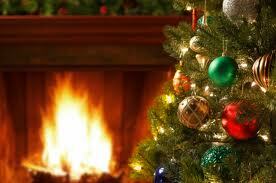 Christmas Tree – The sacred tree of the winter god; Druids believed the spirit of their gods resided in the tree. Most ancient pagans knew the tree represented Nimrod reincarnated into Tammuz. Pagans also looked upon the tree as a phallic symbol. The pagan root of these “Christmas Trees” is even noted in scripture. Candles – Represent the sun-gods’ newly-born fire. Pagans the world over love and use candles in their rituals and ceremonies. Certain colors are also thought to represent specific powers. The extensive use of candles is usually a very good indication that the service is pagan, no matter what the outward trappings might be. Mistletoe – is the sacred plant of the Druids, symbolizing pagan blessings of fertility, thus kissing under the mistletoe is the first step in the reproductive cycle. Witches also use the white berries in potions. Wreaths – are circular, and so they represent the female sexual organs. Wreaths are asociated with fertility and the circle of life. Santa Claus – Former Satanists have claimed that “Santa” is an anagram for “Satan.” In the New Age, the god, “Sanat Kamura”, is most definitely an anagram for “Satan.” The mythical attributes and powers ascribed to Santa are eerily close to those possessed by Jesus Christ. Reindeer – are horned animals representing the “horned-god” or the “stag-god” of pagan religion. Santa’s traditional number of reindeer in his team is 8; in Satanic gematria, 8 is the number of “new beginnings”, or the cycle of reincarnation. Elves – are imp-like creatures who are Santa’s (Satan’s) little helpers. Also known as demons. Green and Red – are the traditional colors of the season, as they are the traditional pagan colors of winter. Green is Satan’s favorite color according to Satanists, so it is appropriate it should be one of the traditional colors for Christmas; red is the color of human blood, Satan’s highest form of sacrifice. December 25 – is known as the “nativity” of the sun. This date is the birthday of Tammuz, the son, the reincarnation of the sun god. Traditionally, December 21 is known as Yule. The Roman Catholic Church moved the celebration of Yule to December 25. This date is also known to the Romans as “Saturnalia”, a time of deliberate debauchery. Drinking through repeated toastings – known as ‘wassail’ – was a key to the debauchery of this celebration. Fornication was symbolized by the mistletoe, and the entire event was finished with a Great Feast, now known as the Christmas Dinner. 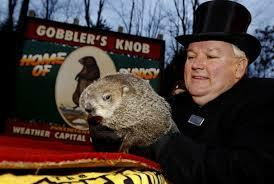 The popular “Punxsutawney Phil” groundhog comes out of his burrow to divine the next few weeks of weather. If he sees his shadow, we will have 6 more weeks of bad weather until Spring finally arrives; if he does not see his shadow, the next 7 weeks before Spring will be good weather. Notice this pagan tradition features both the number “6” and “7”, which again when added equal 13. Many do not realize that the pagan view of Groundhog’s Day (Imbolg) represents the Earth Mother. As the Earth goddess sleeps inside the earth during the winter season, so does the Groundhog. The name, “Groundhog” was substituted for the Satanic name of the holiday, “Imbolg”, a night requiring human sacrifice. 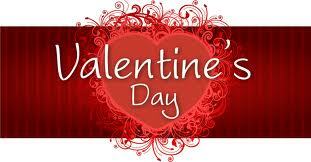 February 14- Valentines day is a pagan festival that encourages love and physical lust. It is celebrated precisely 13 days after Imbolg, thus imprinting upon it the number “13”, Satan’s number of extreme rebellion. While most people view this day as the day to honor your wife or your significant other, this celebration is steeped in paganism. 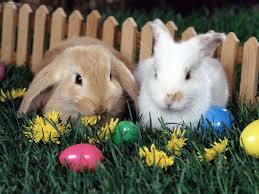 March 21-22 – Goddess Ostara (Ishtar, also spelled, “Eostre”), for whom “Easter” is named. March 21 is also one of the Satanist’s human sacrifice nights. The Babylonians celebrated the day as the return of Ishtar (Easter), the goddess of Spring. This day celebrated the rebirth, or reincarnation, of Nature and the goddess of Nature. According to Babylonian legend, a huge egg fell from heaven, landing in the Euphrates River. The goddess, Ishtar (Easter) broke out of this egg. Later, the feature of an egg nesting was introduced, a nest where the egg could incubate until hatched. A “Wicker” or reed basket was conceived in which to place the Ishtar egg. The Easter Egg Hunt was conceived because, if anyone found her egg while whe was being “reborn”, she would bestow a blessing upon that lucky person. 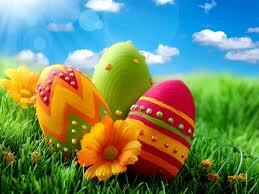 Because this was a joyous Spring festival, eggs were colored with bright Spring colors (Ibid). Easter offerings are derived from the tradition where the priests and priestesses would bring offerings to the pagan temples for Easter. They brough freshly-cut Spring flowers and candies to place on the altar of the idol they worshipped. They would also bake Hot Cross Buns, decorating them with crosses symbolizing the cross of Wotan, or some other pagan god; these crosses were not originally the cross of Jesus Christ. This is another instance where Satan counterfeited a pagan tradition that could later be passed off as “Christian” in a church seriously compromised by Syncretization. In fact, the first instance of Hot Cross Buns can be traced back to about 1,500 BC, to Cecrops, the Founder of Athens (Marquis, p. 18). Later pagans used not just the shape of a Pentalpha star, but also the Hot Cross Bun. Another popular Easter offering were freshly made or purchased clothes. The priests would wear their best clothes, while the Vestal Virgins would wear newly-made white dresses. They would also wear headgear, like bonnets, while many would adorn themselves in garlands of Spring flowers. They would carry wicker baskets filled with foods and candies to offer to the pagan gods and goddesses. Easter Sunrise Services were originated by the priest serving the Babylonian Ishtar to symbolically hasten the reincarnation of Ishtar/Easter. Once again, we see how Satan knew that Jesus’ rising from the grave would be discovered in the early sunrise hours, and that the Christian Church would want to hold Sunrise Services to celebrate. Lent is purely pagan, and yet has been accepted by the Roman Catholic Church and apostate Christian churches as “Christian.” Lent is a commemoration of Tammuz’ death; the legend of his death says that he was killed by a wild boar when he was 40 years old. 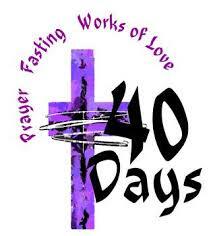 Therefore, Lent celebrates one day for each year of Tammuz’ life (Marquis, “America’s Occult Holidays”). Participants are to express their sorrow over Tammuz’ untimely death by weeping, fasting, and self chastisement. Lent was commemorated for exactly 40 days prior to the celebration of Ishtar/Esotre and other goddesses by the following cultures: Babylonians, Roman Catholics, Koordistan, Mexicans, Ancient Israel, and today- Liberal and apostate Protestant Churchs. We can see God’s anger over this commemoration of Lent in Ezekiel 8:14-18. In Ezekiel 9, he pronounces their judgment. We suggest you read it carefully, as God has stated that He will similarly punish any nation who does not “hear and obey” His commands (Jeremiah 12:17). September 21/22-October 31 – Autumnal equinox- From September 21 through October 31, occultists believe the veil separating the earthly dimension from the demonic realm gets progressively thinner, with the thinnest night being October 31; this thinning of the separating veil makes it easier for the demonic realm to enter the earthly dimension. Thus, on Halloween, evil spirits, ghosts, witches, hobgoblins, black cats, fairies, and demons of all sorts were believed to be running amok across the land. They had to be back in their spiritual dimension before midnight, Halloween, for the separating veil would then get thicker. This is an occultic and Satanic belief. This day, also known as All Hallows Eve as designated by the Catholic Church, is the Satanists highest day of human sacrifice. Halloween has been changed over the past 30 years in two important ways. First, children have been encouraged to participate by donning such inoffensive costumes as Barbie, Wonder Woman, Batman and Superman. Secondly, adult costuming and parties have reached a tremendous apex and has become a most macabre day of celebration. 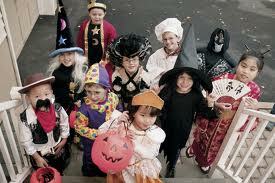 Historically, Halloween is the deadliest holiday ever celebrated in human history. This Satanic night is dedicated to the Celtic Lord of the Dead, also symbolized by the Horned-god and the Stag-god. The Druids celebrated Samhain as a 3-day fire festival, building huge bonfires, thought to ward off demons that roamed around; Additionally, the fires provided the means by which the required human sacrifice would be presented to the sun god. In enormous wicker baskets, the priests caged both human and animal sacrifices which they then lowered into the flames. The priests would carefully watch the manner in which the victim died in order to predict whether the future held good or evil (Pagan Traditions of the Holidays”, p. 71). This pagan practice is over 2,000 years old. For the sake of their safety and well-being, people put outside their home sweets, the best mutton legs, vegatables, eggs, and poultry, honey and even wine, so the wandering evil spirits would consume them on their way back to the netherworld. 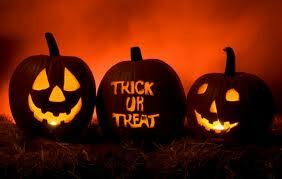 Failure to “treat” these evil spirits might result in a curse being put on the home. The people literally believed that, when these spirits came to your door, they would trick you if you did not treat them. Satan’s obsession with fire has produced human obsession with building huge bonfires. 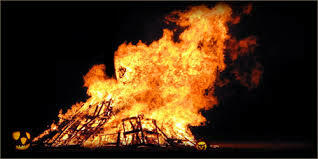 As we stated earlier, these bonfires were practical, in that they provided the means by which the priests sacrificed the human and animal sacrifices so crucial to Halloween. Samhain (Halloween) was also the time to engage the Devil’s assistance in divining the future. Questions concerning marriage, luck, health, and the time of one’s death were most popular subjects of divination. In Scotland, young people assembled for games and pulled shoots out of the ground to ascertain which of them would marry during the coming year, and in what order the marriages should occur. Owls, bats, cats and toads are an essential part of Halloween, and for a very good reason: they are known as “the witch’s familiars.” A divining familiar was the species of animal whose shape Satan would assume to aid the witch in divining the future. A witch would closely watch the animal’s movements – whether slow or fast – and she would see the direction in which the animal moved and the kinds of sounds it made, in order to foretell the length of life and/or an impending illness. Other “familiar spirit” shapes include hens, geese, small dogs, rats, butterflies, wasps, crickets, and snails. 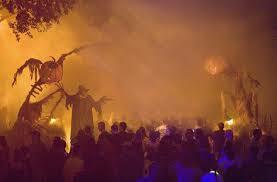 Witches considered these creatures to be demon-possessed and controlled. If you look closely at most Halloween decorations, you will see these animals, but now you know they represent demon possessed creatures (Pagan Traditions of Holidays, p.75-76). Witchcraft– Dealing with demonic spirits, using their prescribed methods, commonly called rituals and the ‘magic arts’. The Bible forbids it as in Galatians 5:19-20. Today, thanks to “Harry Potter” witchcraft is skyrocketing in popularity. TV Shows that depict witches are “Bewitched”, “Buffy the Vampire Slayer”, “Charmed”, and the list goes on. Sorcery– Use of power gained from the prescribed rituals demanded by the demonic host. Once the witch or wizard performs the particular ritual correctly, the demonic host is required to provide the power to accomplish that action desired by the witch. Divination– Fortune telling and seeing into the future. God wants us to trust in Him and His power, and not to worry about tomorrow. Satan on the other hand loves to get people consumed by the idea that they can know what lies ahead of them. Wizardry– The art or practices of a wizard, sorcery. A wizard or witch is one skilled in the magic arts, a sorcerer. Necromancy– Communication with the dead. Specifically conjuring up the spirits of the dead for purposes of magically revealing the future or influencing the course of events (Ex. King Saul conjuring up the prophet Samuel). We are advised by scripture not to contact the dead for any reason. Charm– The practice of putting a spell on someone in order to change or control their mind and/or behavior. Wizards love to get their enemies ‘one on one’ because they can charm them through the use of ritual done before the meeting, and by the demonic host residing within him. Adolf Hitler followed this practice closely as he dealt with the leaders of Europe, Britain and Russia. British Prime Minister Chamberlain was totally charmed by Hitler as he sought to appease the German dictator in Munich in 1938; Chamberlain was so totally charmed by Hitler, he enthusiastically proclaimed after returning from Munich that he had achieved “peace in our time”. When dealing with a powerful member of Satanism, do not attempt to meet with him. Pray for them in Yeshua’s name. Stargazing or Astrology– Divination of the supposed influence of stars and other heavenly bodies upon human lives and the affairs of nations. Occultists literally order their lives according to Astrology and numerics. If you read a daily horiscope- you are involved in this forbidden astrology. Soothsaying– Foretelling events and prophesying through a spirit other than the Holy Spirit. Prognostication– To foretell from signs and symptoms, also prophesying without the Holy Spirit. Magic– Tapping into the power of the demonic realm through the use of prescribed ritual so that the action carried out is accomplished through demonic power. If you are a member of a church or organization that celebrates Christmas, Easter, Lent, Halloween, etc- please testify to them of the truth. Observing these worldly holidays according to the calendar of Satan is not a “good work”, rather it pays homage to Satan. We are called to be obedient to the Word of God found in the bible. God created a calendar from the beginning that can be found in the scriptures. He established Holy “Holidays”, the 7 feasts of scripture that have been disregarded by Christianity in favor of Satanic pagan holidays. We encourage you to study the “God’s Calendar” page of this website to begin to study the scriptures on this. Also we encourage you to protect your children from these influences, which have permeated TV, Movies, media, and even our education system. Turn to Yahweh, seek His counsel in His never changing word, repent, and separate from these pagan practices. Many Notes here from “The Dark History of the Vatican” Blog.